Ships tomorrow if you order in the next 17 hours 49 minutes. EveryDay Basics Cleansing Cream For Normal to Dry Skin from Aubrey is a natural facial cleanser that contains organic ingredients for cleansing and hydrating skin. 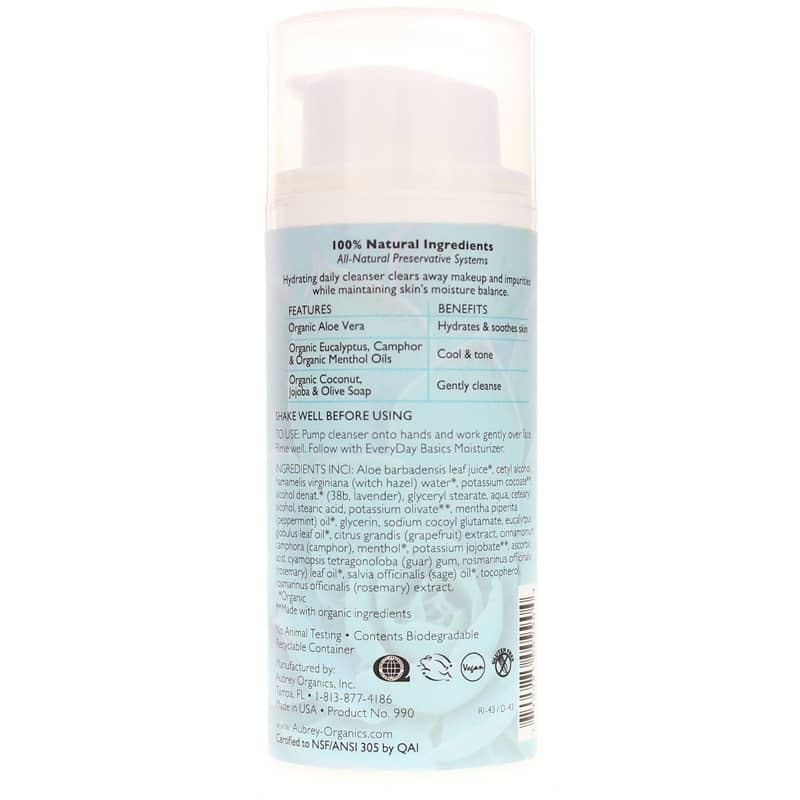 Hydrating daily cleanser clears away makeup and impurities while maintaining the skins natural moisture balance. All products at Aubrey are creatively designed to work in harmony with nature. They accept only the highest quality and purest of ingredients from around the world. Each ingredient is tested to ensure it meets our high standards for purity and efficacy. Aubrey uses only the finest herbal, plant extracts and natural vitamins in all of our products. You will find no paraben preservatives, no petrochemicals, no artificial colors or fragrances of any kind. Today Aubrey remains committed to making healthy, natural products based on herbal traditions that, in many cases, date back thousands of years. Aubrey believes that everything we know about hair and skin care we learned from nature first. Shake well before using. Pump cleanser onto hands and work gently over face. Rinse well. Follow with EveryDay Basics Moisturizer.